Early April signals one thing for golf fans around the world – the Masters. It’s the Super Bowl of golf. This tournament is one of four major championships in professional golf and is played annually at the Augusta National Golf Club. Only the best of the best get to play on this historical course, including Dustin Johnson, Adam Scott, Rory McIlroy, Jordan Spieth and Rickie Fowler. Let’s be honest, our lives are busy and you won’t be able to catch every Masters shot on TV, or maybe you don't have cable to begin with. 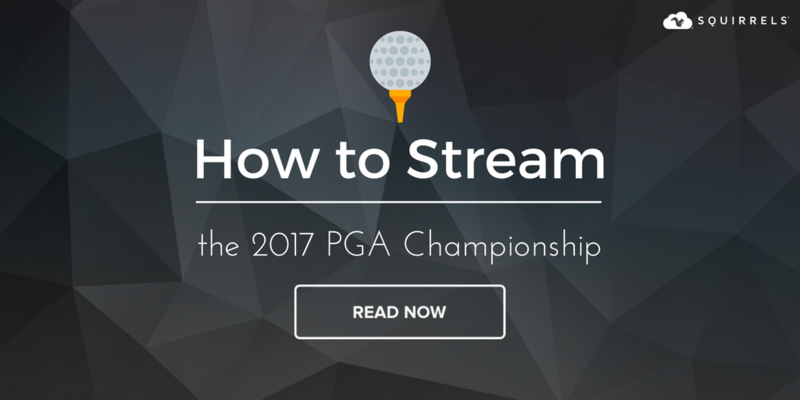 Here’s how you can stream the tournament for free online and feel like you’re on the green at Augusta National. Masters.com will allow viewers to see live feeds in 4K from the range, practice facilities, Amen Corner (holes 11, 12 and 13), the 15th and 16th hole and several featured groups. It’s completely free and no account is required. Coverage will start on Monday, April 3, and conclude on Sunday, April 9. Below is the full live streaming schedule on Masters.com. Honorary starters: 7:45 – 8:30 a.m.
On the range: 8:30 – 11 a.m. Featured groups: 9:15 a.m. – 7:30 p.m.
Amen Corner: 10:45 a.m. – 6 p.m.
Holes 15 and 16: 11:45 a.m. – 7 p.m.
Broadcast: 3 – 7:30 p.m. Featured groups: 10:15 a.m. – 7 p.m.
On the range: 11 a.m. – 1 p.m.
Amen Corner: 11:45 a.m. – 6 p.m.
Holes 15 and 16: 12:30 – 6:30 p.m.
Green jacket ceremony: 7 p.m.
Nobody wants to watch the final putt of the 18th hole around a tiny computer screen. Download AirParrot 2 on your Mac or PC to wirelessly mirror that live broadcast from your computer directly to an Apple TV or Chromecast. 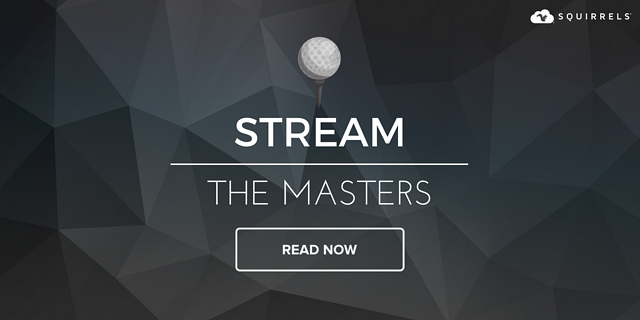 Enter Masters.com in the Chrome or Firefox browser to stream the event. Then open AirParrot on your computer and select your browser as the “From” option. 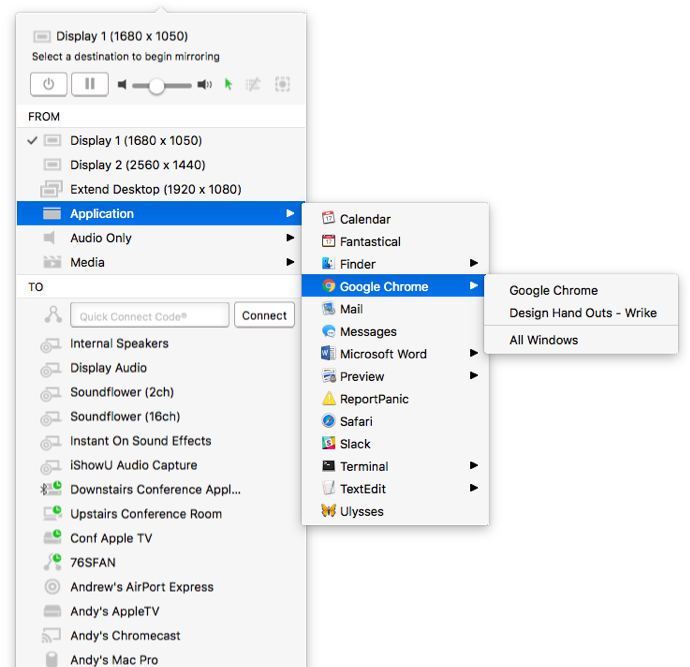 Select your Apple TV or Chromecast as the “To” option. 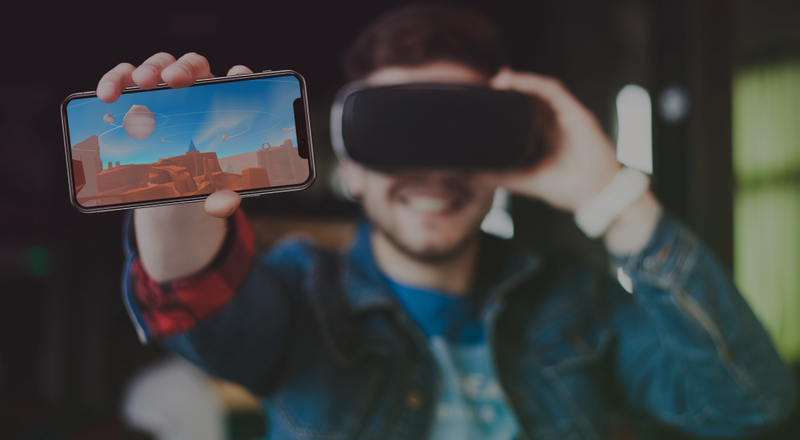 This will wirelessly present the Masters from yoru computer to your TV and allow you to experience all the action on the big screen. 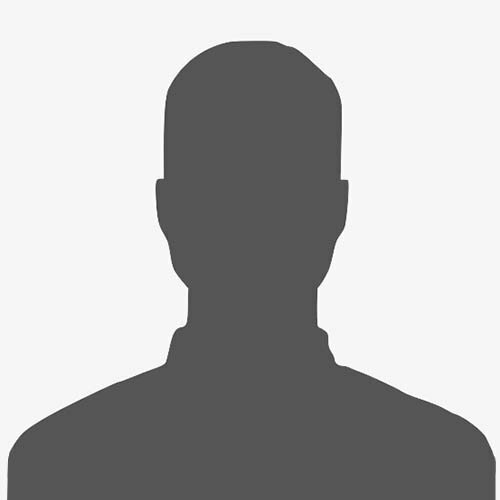 The image below was taken from the AirParrot menu and shows you how to do this. You simply select your browser or application. Then select where to send it. 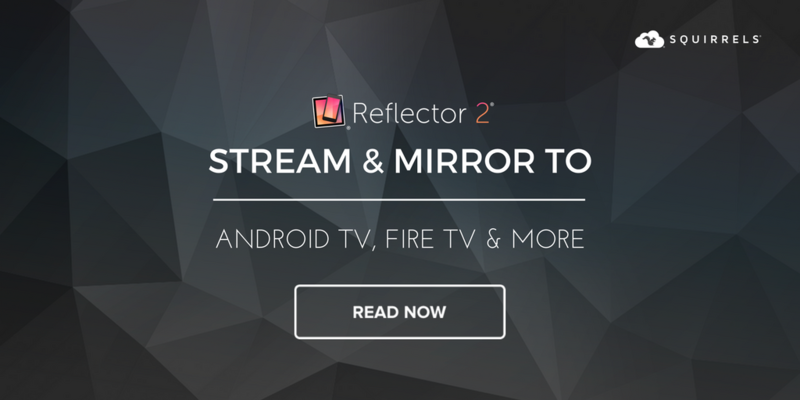 Learn more about the AirParrot 2 desktop mirroring/streaming app.